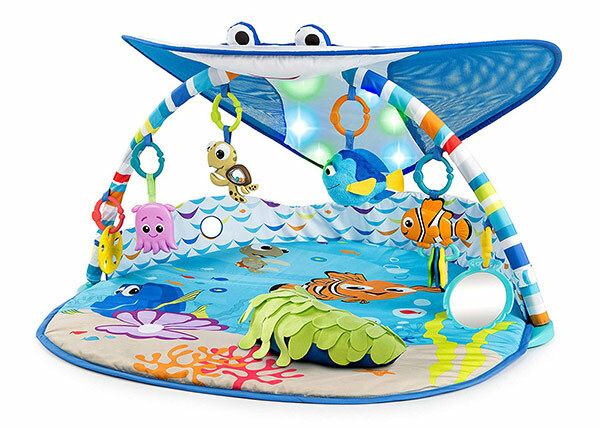 Looking for fun ways to play with your baby, whether at home or out and about? 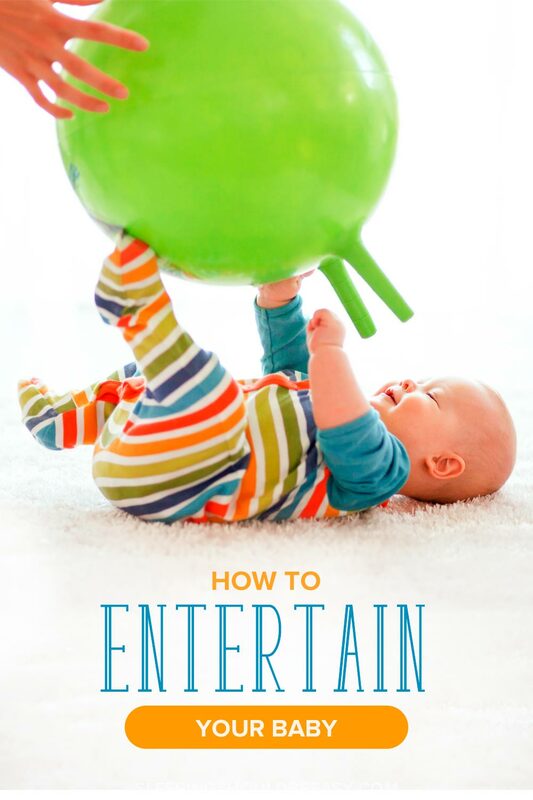 Learn how to entertain a baby with these simple ways. When my eldest was a newborn, I could get away with laying him on a blanket and shaking a few rattles as entertainment. But then he started staying awake more, and I found myself needing to up the ante: We did tummy time, I placed him in an infant seat, we read. But still, he started to seem cranky, as if he was bored, tired of the same toys. Even I felt like we were doing the same things over and over. We can get stuck in a rut, from the activities we plan for the day to what we do to spend time with our babies. And sometimes, all we need is a list of ideas to run through to plan a few activities or remind us of our options. Did you know a baby’s favorite “toy” is your face? They’re fascinated by the many emotions and slight changes our faces reveal. Even if your newborn isn’t smiling yet, he’s processing all that information and can’t get enough of watching you talk or sing to him. Lay your baby down on a blanket and talk to him, changing and exaggerating your face to make it even more interesting. Use props like toys, rattles and books to give you a few topics to talk about. You can also sit down on the floor with your feet flat on the ground and lay your baby on your knees. Another option is to encourage your other children to talk to the baby. 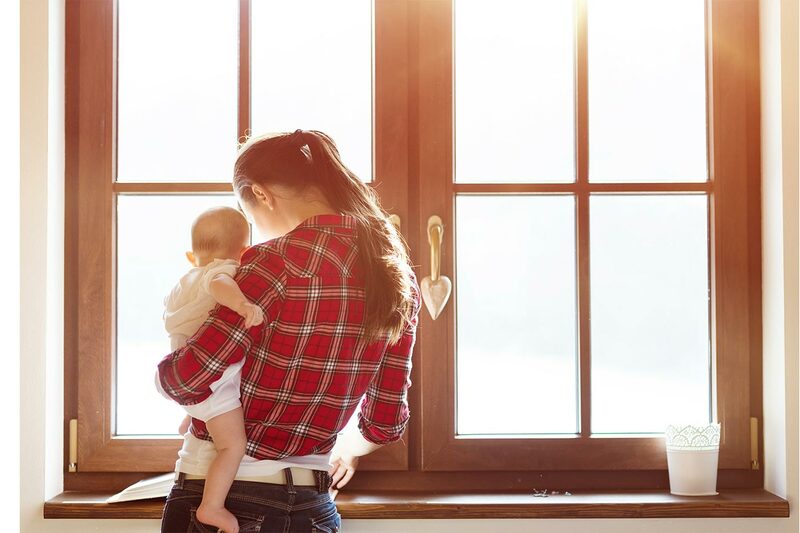 Not only does this encourage a strong sibling bond from the beginning, your baby will also love seeing his big brother or sister cooing at him. Get more tips about building a strong sibling relationship, right from the start. Talking to and making faces with your baby is a fantastic way to play, no matter what you’re doing! Involving your baby in your daily tasks not only allows you to get things done, it’s also a perfect opportunity to spend time with him. One of my babies’ favorite games was peek-a-boo, especially as I was folding laundry. I’d lay them down on a blanket or a Boppy like this one, then place a burp cloth or other piece of clothing from the laundry pile over their faces. Then with a flourish, I’d remove the cloth and reveal a big smile on my face. If I wasn’t playing peek-a-boo, I was talking about the clothes I was folding. I’d hold up an item and describe what it was, its color, or use. This became a fantastic way to engage and even develop language skills. Read more about how to get things done with a baby. As much as nursery songs stayed stuck in my head longer than they ever needed to be, I continue to play them to my kids (and still do so until now). Songs provide plenty of opportunities for you to sing along to your child, as well as introduce him to different melodies and sounds. Many of us have framed paintings and photographs hanging on our walls. Describe what each of the paintings or photographs mean. Carry him throughout your home and show him the different people in the photos, when it was taken and how long ago. Describe the paintings and its colors and subjects and ask your baby what he thinks of it. You might be surprised how fascinated your baby will be looking at these different frames! Plus it gives you an opportunity to spend time with him in your arms. Show your baby photos and picture frames around the house. 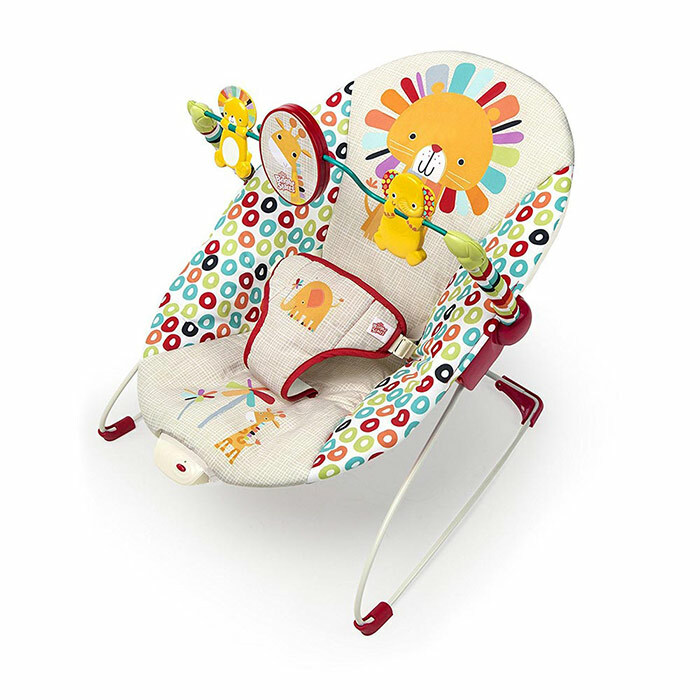 As useful as swings and infant seats can be, sometimes babies get bored sitting in them, especially in the same place. One trick I did was to place my babies in infant seats, but move the seats to different rooms in our home. For instance, I’d put my baby in the seat near the kitchen while I cooked, or in my bedroom while I made my bed. This allowed me to keep the baby nearby while still getting things done. And the different scenery provided him with a new view to look at, rather than keeping the infant seat or swing in the same area of our home all the time. You shouldn’t keep your baby strapped into anything for long (besides, he’ll likely fuss after a while). But this can be a fantastic solution if he complains about sitting in the same place yet again. If you have play tables, play mats, jumpers and exersaucers, alternate among them rather than having them available at all times to avoid over stimulation. Pick one “big” toy for him to play with for the week. Then, as you find him getting bored of that toy, store and replace it with another one, cycling through his different toys to keep his interest. 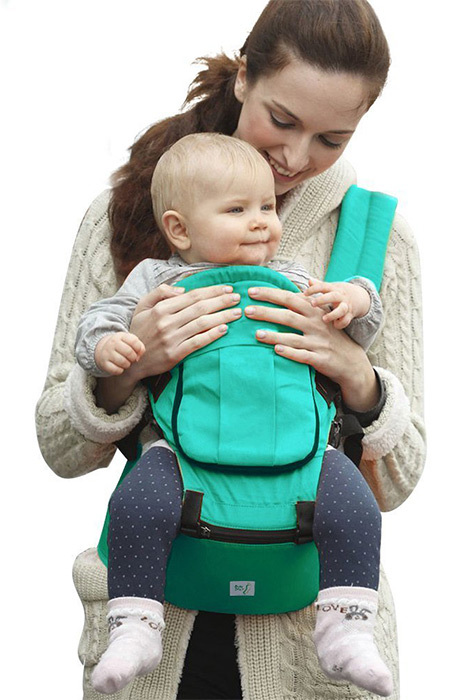 Babies love being close to us, especially in a baby carrier or wrap. I kept mine nearby in a Moby Wrap like this one, which also freed my hands to do other tasks. You might also use this opportunity to talk to your baby about what you’re doing. He’ll love hearing your voice! Plus, describing what you’re doing gives you something to do and say, no matter how small or simple the topic may be. Babies love watching bubbles! Keep a few bottles at home and blow them toward your baby. No matter the age, kids still get a kick out of seeing bubbles form and pop in the air. 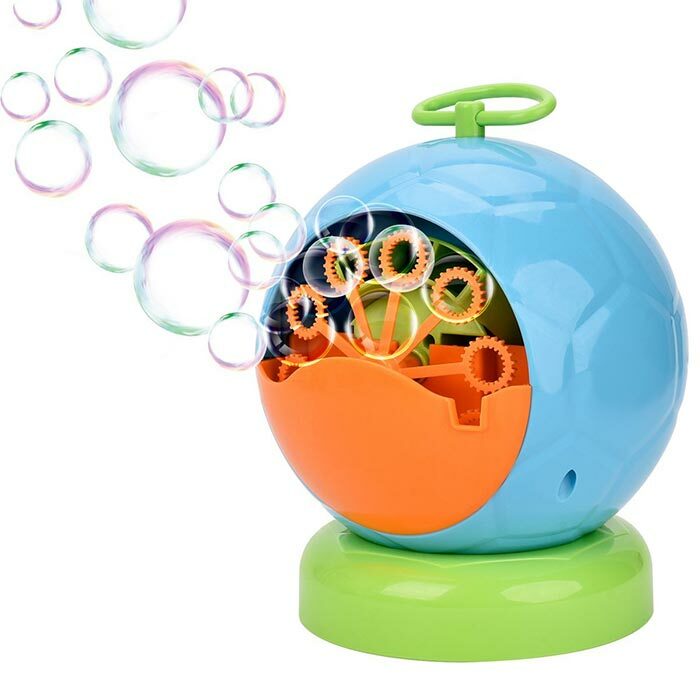 Battery-operated bubble toys are also fun and convenient. Patterns fascinate babies, especially newborns. I’d often place my babies in front of our vertical blinds with the window open to let the wind through and blow the blinds side to side. They’d watch as the lines crossed and swayed back and forth, while slits of sunlight would peek through. Your baby might also like watching ceiling fans as mine did. Keep the setting on low, and he’ll likely stay mesmerized by the movement of the blades. A favorite activity of mine was to walk my babies to our local park and lay them on a blanket underneath a tree. Being out in nature is one of the best activities for your baby. The fresh air and sounds of the outdoors is refreshing, not to mention the different sights they see. Even something as simple as watching the patterns of the leaves swaying back and forth is enough to entertain. This is also a good opportunity to practice tummy time, especially with all the things to see and touch at the park. Let your baby grab the grass in a fist, or gaze at the clouds floating in the sky. Don’t feel like you need to always entertain your baby. Like you and me, your baby needs a balance of entertainment and alone time. Don’t feel pressured to enrich your baby’s brain with activities galore (it’s already doing that without you needing to do anything!). Activities can also overstimulate your child, and his crankiness may not be a sign of boredom, but of over-stimulation. Constant entertainment can interrupt the rest and processing he needs as well. But now you have a ton of ideas, songs, books and activities to do when your baby does want more or new entertainment. After all, shaking a rattle in his face can only be fun for so long. Tell me in the comments: What do you struggle with when it comes to entertaining your baby? What are your best tips on how to entertain a baby? My wife is giving birth to our daughter soon, and I want to make sure that she is prepared for entertaining our dear one. We’re already planning on buying baby toys online, and it’s good that you mentioned about alternating the toys to keep the baby’s interest. I’ll definitely share this article with her so that we can buy a variety of baby toys and, at the same time, have a guide on how to entertain our daughter! Thanks!